Tugela is an exquisite five bedroom retreat custom designed for discerning travellers in search of absolute privacy. 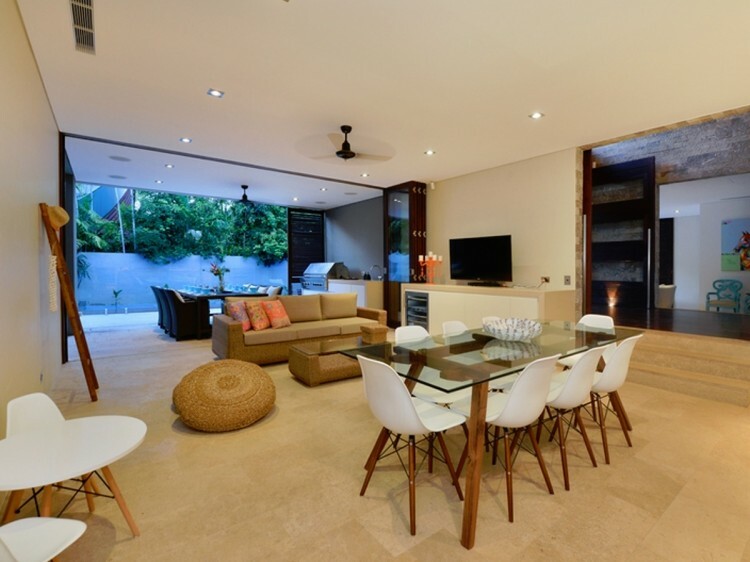 Created by the award winning luxury lifestyle design of Molori Los Angeles, this very rare and beautiful tropical haven complete with coconut palms is nestled between the Great Barrier Reef and the Daintree Rainforest. This grand home has direct access to Four Mile Beach, is a two minute drive from Macrossan Street and minutes to the nearest helicopter pad. Enter past the manicured lawns, the vibrant ornamental royal poinciana tree and a trio of cascading waterfalls and your luxury holiday home awaits. 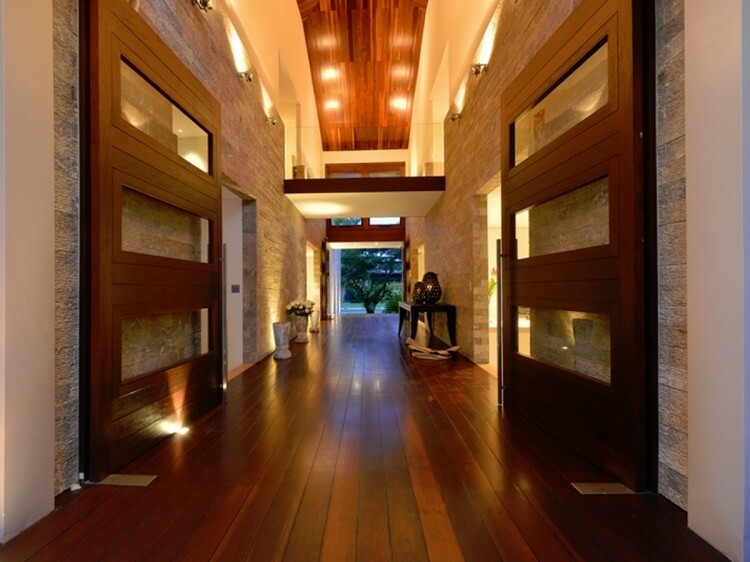 Retractable wood and glass walls capture natural light and the spirit of its tropical surroundings. Bespoke furnishings, state-of-the-art home entertainment systems and unique accents sourced from around the globe create a truly original oasis. The ground floor comprises the open plan kitchen with european appliances and walk in pantry as well as a large dining area for you and your party to enjoy entertaining. A large casual living area as well as an informal lounge can also be found on this level along with a home cinema/media room complete with oversized deep seated sectional couches. Each and every room opens up to their own private outdoor area with a view of the private infinity saltwater swimming pool (12m long and 3.7m wide) surrounded by lush manicured gardens. 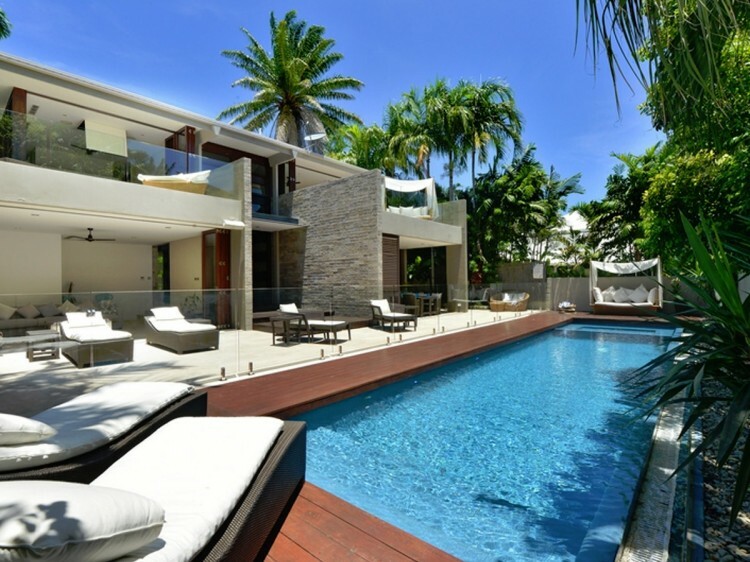 Relax on the sun lounges around the extensive deck that surrounds the pool whilst sipping cocktails as you explore the beautiful surroundings this breathtaking home has to offer. Once the sun goes down retreat to the outdoor patio while the chef in the group cooks a feast on the outdoor barbecue. Located on the top floor is the luxurious master suite with your very own private wrap around terrace incl. 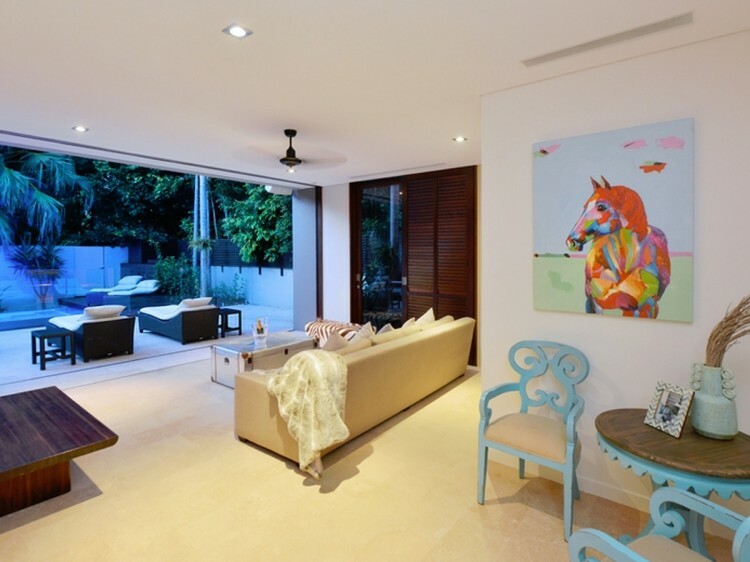 oversized daybeds, marble ensuite and spacious walk-in wardrobe. The second and third bedrooms with shared marble ensuite facilities are also located on the top floor with both rooms opening up to private outdoor terraces. Bedrooms four with private marble ensuite and five are located on the ground floor along with a separate powder room. Tugela is tech-savvy offering guests Foxtel, WiFi, large flat screen TV’s, multiple DVD/CD players and a Bose docking station with iPod/iPhone connectivity.